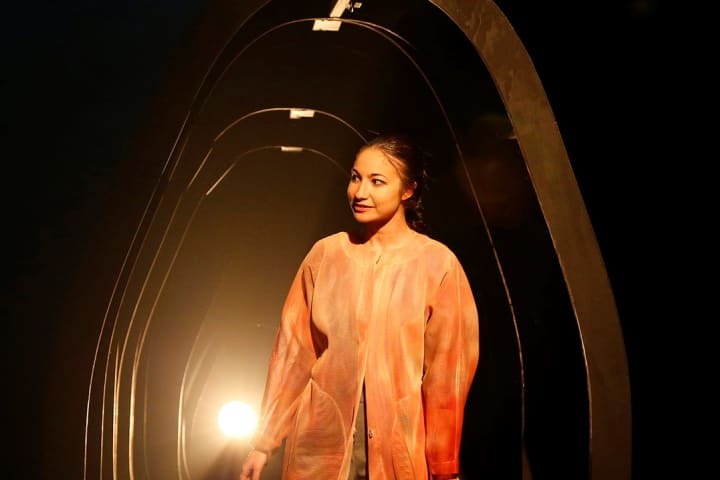 Work experience student Jade Colletti tells us about her week observing the creative development of Hungry Ghosts by Jean Tong. My week with the Hungry Ghosts cast and creative team was amazing. There is something special about being a part of a production while it’s still in the creative process that gives me a buzz of joy, and makes me appreciate the hard work and effort that goes into creating beautiful theatre. 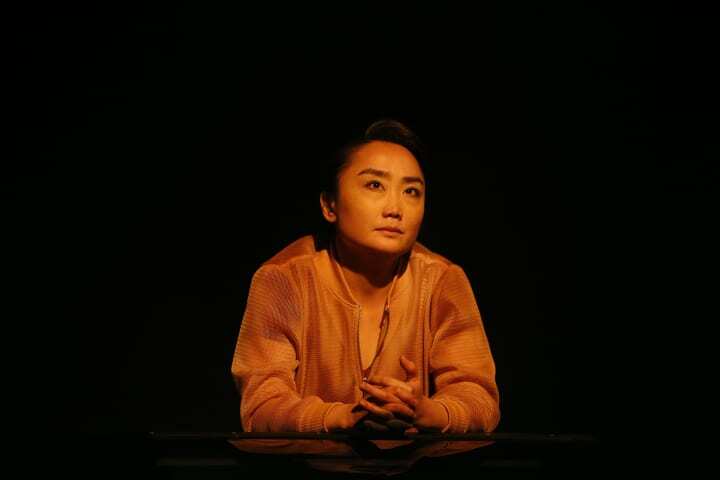 Throughout the week, I had the pleasure of observing the creative development of Hungry Ghosts by Jean Tong, in particular the art of how Petra Kalive (Director) breaks down and analyses a particular scene. Something that really stood out to me was how all of the creatives, including Darius Kedros (Composer/Sound Designer), Eugyeene Teh (Set Designer), Sophie Woodward (Costume Designer) and Emma Valente (Lighting Designer), were able to sit through the script reads and offer their thoughts on what was the purpose and function of a particular scene. Petra has this talent to be able to look at a scene and ask, ‘What is happening here? What is its function? What is it trying to achieve?’, and I think when working with non-naturalistic theatre, that is most definitely a skill that you need to master in order to create a successful and enjoyable play. 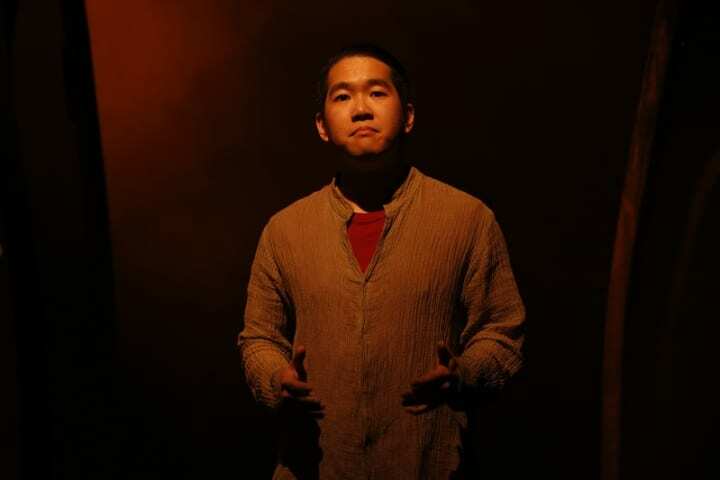 My work experience was a little bit different to most placements at MTC because Hungry Ghosts was still in the creative development process. I shadowed Lisette Drew (Stage Manager) for the duration of my week, and observed the team workshopping the script. It was so lovely to talk to Lisette and learn about what her role as a stage manager entails, as well as the different shows that she has worked on. I was surprised to learn that as a stage manager your responsibility is to oversee everything as well as be the communications centre between cast, creatives and crew. As part of my work experience, I was also given the opportunity to see The Children by Lucy Kirkwood starring Pamela Rabe, Sarah Pierse and William Zappa. After spending two days being a part of the intense, creative process of Hungry Ghosts, I was thrilled to watch and appreciate a production in a different way, having gained a better understanding of all that goes into an MTC show including set, lighting, costume, sound, acting and of course direction. 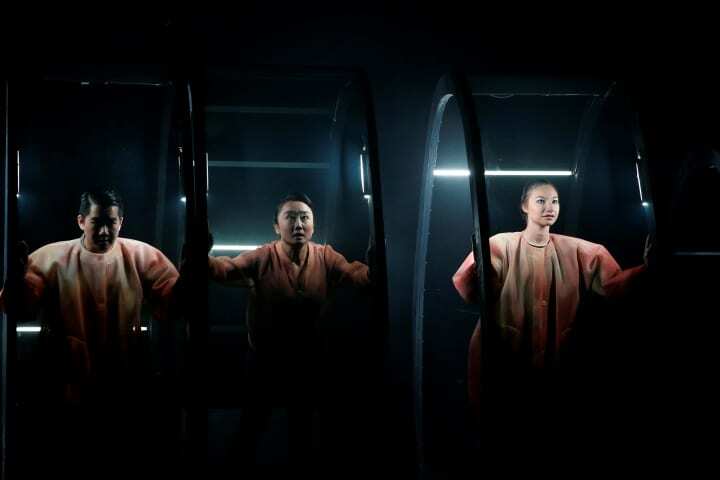 The Children is a naturalistic play and almost the polar opposite of Hungry Ghosts, which gave me a greater understanding of the various theatrical styles. During my week, I also had the pleasure of spending many lunch times talking to the cast of Abigail’s Party, which was also in rehearsal. They all taught me so much about what it’s like to be an actor in Australia, and what it is like working on Abigail’s Party. At the end of my week, I was lucky enough to see the Company Run of Abigail’s Party, which was an eye-opening experience about what life was like in the 1970s. I had the most incredible week at MTC, learning all about Malaysian history, life as an actor and director, as well as what being a stage manager entails. I would like to thank everyone at MTC for making me feel so warm and welcome, and for allowing me to have this once-in-a-lifetime opportunity to pursue my dream. You have all taught me so much, not only about theatre, but about myself. Thank you for an incredible week full of surprises, twists, turns and prawns – to understand that last one, you’ll have to buy a ticket. I can’t wait to see how it all turns out! 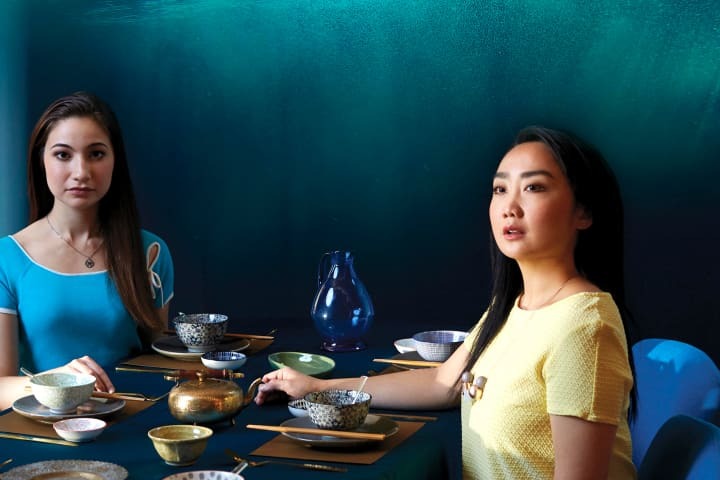 Hungry Ghosts by Jean Tong plays at Southbank Theatre from 3 May, then embarks on a Regional Tour.